The state of Michigan has always been a hotbed for the food industry, that is why Endeavor Detroit is proud to work with some of the most impactful food and beverage companies in the state. Michigan ranks second only to California in farm to table initiatives and the city of Detroit is known as a foodie paradise. As the F&B industry continues to grow in our great state we are excited to continue to support them. Here are a few of their stories. One of Endeavor Detroit’s goals is to support high-impact entrepreneurs who have a pay it forward mentality, which means that they are excited and driven to bring jobs and economic growth to their hometowns. 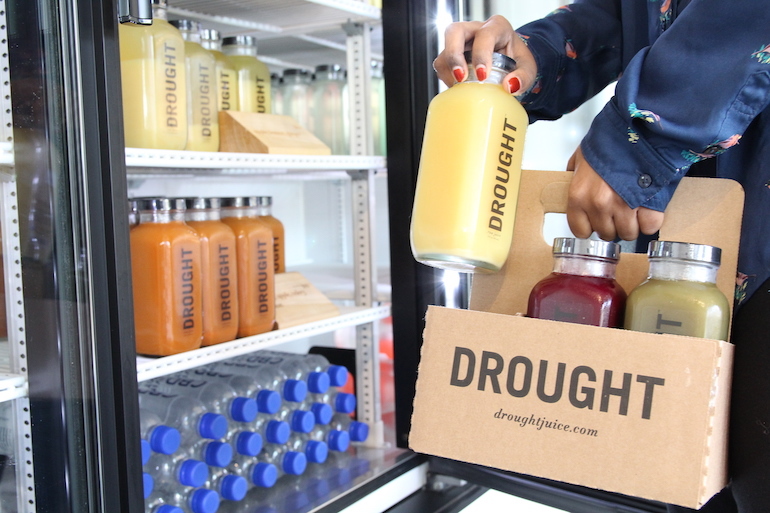 When it comes to food and beverage entrepreneurs, we’re thrilled to have entrepreneurs like the four James sisters of the cold-pressed juice company, DROUGHT. The all-female owned company is the leading organic juice brand in Michigan and is currently expanding nationwide. The sisters have both created dozens of jobs in their brick and mortar stores and in their manufacturing plants. They worked together with the University of Michigan to develop a sustainable recycling and compost strategy. 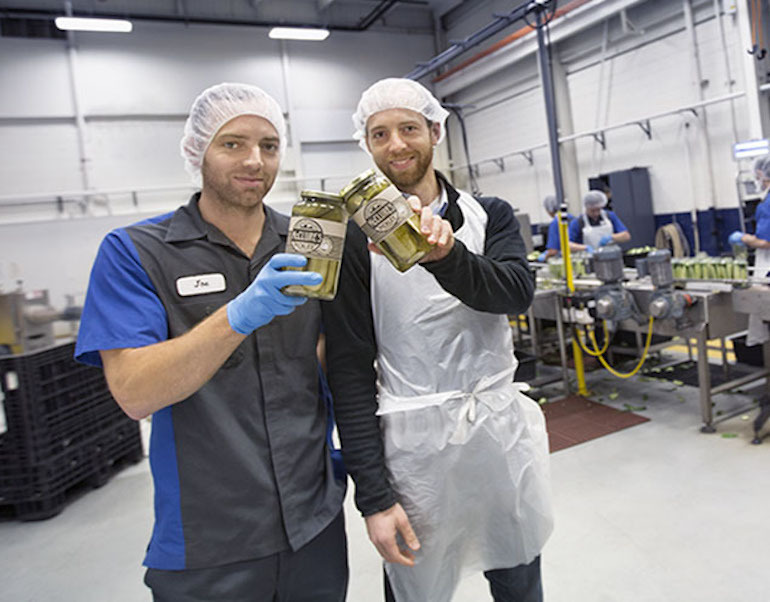 Bob and Joe McClure started McClure’s Pickles in Detroit using their grandmother’s pickle recipe. Aware that Michigan is one of the largest cucumber producers in the U.S., they knew it was the right place to launch their brand and remain committed to Michigan. As Bob McClure explained to Detroit Unspun, “The supply chain in the state of Michigan is great and the logistics coordination in Southeast Michigan is top shelf.” Founded in 2006 and coming into the Endeavor network in 2015, McClure’s has created over 40 jobs across two states. Brian and Scott Rudolph are the founders of Banza, a delicious gluten-free pasta company that was voted Time Magazine’s Best Invention of 2015. 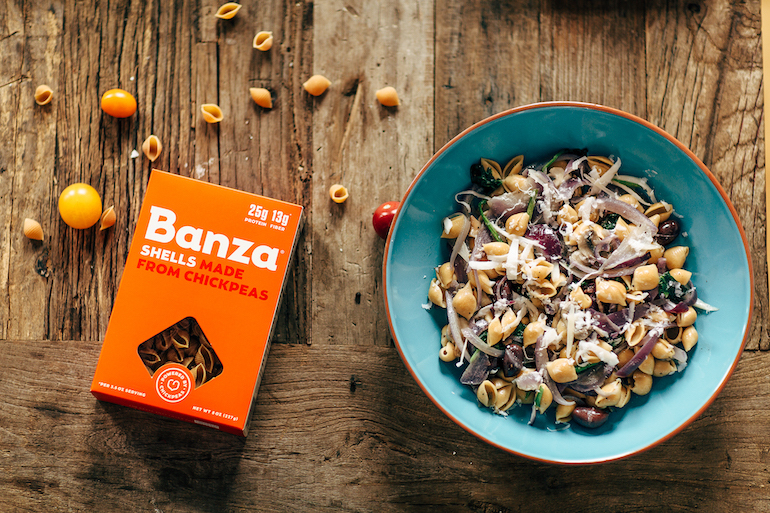 Banza has disrupted the pasta industry by creating a great-tasting, allergy-friendly food for millions of people worldwide who couldn’t otherwise enjoy the dish. The company has experienced impressive year over year growth since joining Endeavor and was recently named the number one pasta brand sold in Whole Foods. Beyond the Endeavor Entrepreneurs above we see great promise in the companies below. Father-and-son team Ed and Chris Girrbach understood the power of Michigan’s agriculture when they founded Great Lake Potato Chip Company (GLPCC) in 2010. Since its founding, the company is now in eight states and two countries, processes over 80,000 pounds of potatoes a week, and employs over 30 people. The company has won numerous awards, including the Growth Award at Crain’s Food Summit. When Ellis Island Tea Founder, Nailah Ellis-Brown, began Ellis Infinity Beverage Company she started selling her family’s tea recipe out of her house. Since that time, Ellis Island Tea has grown to operate out of a 4,000-square-foot manufacturing space in Detroit and has been nationally recognized by news outlets like NBC News, Forbes, and Centric. The beverage company has expanded nationally adding Whole Foods, Sam’s Club, and airport concessions all over the country as retailers. Most importantly, the company has earned the reputation of being more than just tea. In 2017 Ellis Island Tea was chosen for MSNBC’s Small Business Makeover, and Nailah was recognized in Forbes 30-Under-30 for her part in Detroit’s manufacturing renaissance. Detroit Bold Coffee founder A.J. O’Neil is a trailblazer in the Michigan coffee community. This entrepreneur is not only creating dozens of local jobs through coffee, but his company has also tied its business model to a give back strategy with Forgotten Harvest, a nonprofit working to eliminate hunger and food waste in Metro Detroit. Detroit Dough is a Detroit company serving up ready-to-eat cookie dough, founded in 2017 by Detroit residents Autumn Kyles, Victoria Washington, and Daniel A. Washington. The company started selling their cookie dough at pop-up events and has since established distribution with Emagine theaters and the University of Michigan to sell their product throughout the greater Detroit area. The founders are keen on giving back to their community, as shown through their commitment to fund a neighborhood garden for the residence of the NW Goldberg community. It’s clear these entrepreneurs’ focus on growth and community impact will continue to earn Michigan a place on the food and beverage map for years to come, and we cannot wait to support the next high-impact entrepreneurs. Interested in learning more about Endeavor? Subscribe to our newsletter.